We know that technology is disrupting how we engage with customers and employees. We know that the pace of change will continue. Our job is to make sense of what the future might look like to best serve our customers and our organisations. Many of our businesses are still set up for a more traditional and 20th century environment that is no longer fit for purpose. Innovation in how we relate to customers and employees will be critical for future success. How can we begin to make sense of it all? How can we understand what parts of our service offering to leverage and what parts need to be decommissioned? What balance do we need to strike between automation and use of smart technologies and the power of the human touch? Discussing the critical questions you need answers to, our leading panel of experts will explore customer expectations to 2020, what drivers for change will shape the technology we use and how can we ensure our teams are fully equipped for the challenges ahead. Described by one of CCA's Excellence Awards judges as, "... a blueprint for success that could be mapped to a digitally customer centric operation in any industry. Bottling Team B DNA to the rest of the bank is one thing, but bottling it into CX to wider organisations is a best practice that many will learn from." Winning 'Innovation in Customer Service' at CCA Excellence Awards 2017, Lindsey Rigby who leads Team B at CYBG will share how they escaped from bank legacy and developed a truly transformational and innovative new concept that will potentially change the future of banking. Sky's Glasgow Contact Centre Team was described by one of CCA's Excellence Awards judges as, "A genuinely compelling story of how the leadership team, all working together with the absolute belief in doing their best for their people, which in turn benefits the customer." The Glasgow operation is Sky's biggest contact centre for the 'Save' team, it is the most complex site in the Save Estate for call types and is a base for new customer and offer trials. Winning 'Team of the Year' for their sector at CCA Excellence Awards 2017, the Sky team will take us on the journey they have travelled to increase engagement and transform their leadership approach and how they resulted in an award-winning centre. Formally facilitated round-table discussions will offer you the chance to explore the critical questions from the morning's presentations with your peers and industry experts. Take the opportunity to table the questions you need answered to leave equipped with ideas and concepts for your own organisation. Feedback and review of the issues top of mind from delegate discussions from the Round-Table Focus Groups. Coventry Building Society are CCA Excellence Awards 2017's Great Places to Work winner. Having the right people who live and breathe their values is paramount to providing the ongoing success at the Society. In today's economic climate, it's becoming increasingly more difficult to hire great talent, which is why they have ensured they have a first-class recruitment and onboarding experience that engages a candidate from the outset and really sets us apart. In this session they will share the secrets of their success and how the wider organisation are adopting their principles for success. Plantronics’ Customer Care team provide support to Plantronics’ B2B and B2C customers 24 hours a day, six days a week from four support centres in four locations worldwide, and increasingly by skilled homeworkers. Having held CCA Global Standard© for many years, and most recently becoming the first company to achieve CCA Accreditation world-wide, Plantronics recognises that providing excellent customer service is key to converting customers into net promoters and loyal, brand ambassadors. Luis will explain how employee engagement and well-being is critical to their success. He will discuss Plantronics’ Human Resources Strategy and how it has enabled colleagues to identify opportunities to save customers time, enhance the agent experience and improve business performance. "I loved being part of this event. I met some really interesting people and the speakers were very engaging." "Great topics, very focused and delivered by highly qualified and experienced presenters." "I enjoyed the keynote speakers and the wealth of information shared." "Highly relevant topics and presenters who were experts in their subject matter and who could share in simple language their experience, learning and opportunities presented." "You really got an amazing attendee list and engagement. I loved the questions, the energy and the thoughtful and provocative discussion. Unstoppable CCA. Congratulations on a fabulous event and generating the best sort of conversations"
"It was a fast paced, interesting day sharing industry standards and updates, teamed with the opportunity to network with like-minded colleagues." Scottish television presenter, radio host and long-standing ‘Loose Woman’, Kaye Adams is one of the country’s most experienced live TV and radio broadcasters, having worked for all the main terrestrial channels - BBC1, BBC 2, ITV, Channel 4 and Channel 5 - across a diverse range of programming. She currently hosts The Kaye Adams radio programme for BBC Radio Scotland and is a regular panellist on ITV’s award winning daytime show, Loose Women. She has worked as a columnist for The Scottish Sun and The Daily Record and is regular contributor to The Sunday People. Greg had never heard of HomeServe before he joined the company. Now he has the best job in the world, helping to build what will become the best company in the world. ‘Everything I have done before I joined HomeServe has served as an apprenticeship for what I do now.’ Says Greg. And what does HomeServe do? We send someone to fix things in our customers’ homes, and in doing so, we make their lives easier. What’s not to love about that. Leon has 20+ years’ experience of full-time professional tennis coaching focusing on elite player development, high performance coaching and professional team management. He is currently the Great Britain Davis Cup Captain and former coach to Andy Murray. Dr Liberty Vittert is currently the Mitchell Lecturer at the University of Glasgow in the School of Mathematics and Statistics. She has significant experience in explaining issues concerning mathematics, statistics, polling and voting techniques, and the topic of “big data” to the media, public, and government. She is a regular contributor to STV and BBC Scotland, as well as having her own show on STV called Liberty’s Great American Cookbook. Her work also includes issues of involving and energising young people in STEM subjects. She is currently an Ambassador for the Royal Statistical Society. Prakash Arunachalam is the Chief Information Officer at Servion. As a part of Servion’s Global Executive Leadership Team, Prakash is responsible for strategizing and implementing innovative uses of technology to strengthen Servion’s emerging technologies and market competencies. Along with this, he will have the additional responsibility of digitalizing Servion’s internal platforms, grooming talent and ensuring that Servion continues to deliver high-quality services through the brightest minds in the industry. Prakash is an entrepreneurial and technology stalwart with over 24 years of experience in IT and consulting services in geographies such as India, Singapore, China and UK. He joins Servion from SQS where he had led the Global Banking and Financial Services business. Prior to it, he had a successful stint at Virtusa as part of its global leadership team, that spearheaded the company from $200mn to $850mn in about 4 years. Prakash also played an integral role in the acquisition and integration of Polaris with Virtusa. Prakash is a prolific speaker in market forums such as NASSCOM, TiE, IIMs and Engineering colleges. His articles on CX in the millennial age, IoT, omni-channel banking, robotics and process automation have been published in reputed magazines worldwide. He is also a Member of the Forbes Technology Executive Council. Prakash holds a Master’s degree from BITS Pilani, India. John Connors runs the Digital Transformation team for eGain Worldwide. Working with eGain’s customers and prospects, John helps his clients use digital technology, knowledge management and applied AI to deliver their business strategy. With a degree in Physics and Computer Science from Brunel University, UK, John started his career with BP Research before moving to Bull Information Systems as an AI specialist. In over two decades of tenure with eGain, John has had pretty much every job in the company – Deployment Consultant, Consultancy Manager, Presales Director and now Senior Director of Digital Transformation. Jules graduated with Marketing (Hons) from Strathclyde University and has spent her career leading in customer facing environments. She has over 25 years' experience in contact centre roles, most recently leading Nationwide Building Society's award winning call centres. She has also worked for several other blue-chip organisations like o2, Capita, beCogent, Sky, Prudential and NTL. She has a proven track record of managing multi-site contact centre operations through service turnaround and transformation and is experienced in the deployment of Systems Thinking methodology. Chet Chauhan is Vice President of Product Management for CRM Apps at Salesforce. Based in Amsterdam, he leads product management in EMEA for Sales Cloud, Service Cloud and Community Cloud. Prior to his current role, Chet was based in San Francisco for 10 years leading product management for Service Cloud. Chet’s experience includes stints at Siebel Systems, Oracle, PwC Consulting and Tibco Software. He completed an MBA from MIT's Sloan School of Management and a Bachelors in Computer Systems Engineering from University of Bristol. He holds two patents in cloud computing. Outside work, Chet in an avid sailor and completed a half circumnavigation on his sailboat in 2012. Laura is a Partner and Solicitor Advocate with BTO Solicitors LLP and is a specialist in data protection, privacy and information law. Laura’s ‘claim to fame’ is being part of the only legal team in the UK who have successfully overturned a fine imposed by the data protection regulator, the Information Commissioner, for a breach of the Data Protection Act 1998. This resulted in Scottish Border’s Council having their £250,000 fine returned to them! Laura works hard to assist and advise her clients about the Data Protection Act 1998 and is spending most of her time dealing with the changes that are coming in on 25 May 2018 with the implementation of the General Data Protection Regulation. Laura is also on the board of the Scottish Business Resilience Centre due to her expertise in cyber security law. Daniel has spent his career at RingCentral driving the expansion of cloud Business Communication solutions in the UK and EMEA via the adoption of exciting and innovative features & services, and integrating them into customers’ workflows. He has spent the last 8 years in the cloud software and communication industries and his background is in software development and telecoms infrastructure. With more than 420,000 customers - including 100 of the fortune 100 - and with deployments across a wide variety of industries in more than 145 countries, Oracle offers a comprehensive and fully integrated stack of cloud applications, platform services and engineered systems. Customers worldwide rely on Oracle's complete, modern, and secure portfolio of industry applications. Oracle offers maximum choice and flexibility, including SaaS applications for customer experience, enterprise performance management, enterprise resource planning, human capital management, supply chain management, and more. Oracle's solutions supports organisations and companies of all sizes for all types of cloud-based scenarios, including public, private, and hybrid clouds. For more information, please visit: https://www.oracle.com/. Servion enables business transformation for enterprises in the area of Customer Experience Management (CEM). Over the past two decades, Servion has evolved from being a single channel (voice) interaction expert to being an industry pioneer in omnichannel customer experience. Servion manages over 10 billion customer interactions annually across 60 countries in 6 continents. 3 out of the top 5 banks, 2 out of the top 5 insurance firms and 5 out of the top 10 telcos work with Servion to improve their customer experience. Twilio's mission is to fuel the future of customer and business communications. Developers and businesses, such as ING, Airbnb, Coca-Cola, and EMC, use Twilio to make communications relevant and contextual by embedding messaging, voice, video, and authentication capabilities directly into their web, desktop, and mobile software. We take care of the messy telecom hardware and expose a globally available cloud API that developers can interact with to build intelligent and complex communications systems. Twilio is reinventing the communications market, by migrating from its 150-year legacy in hardware to its future in software. Arise Virtual Solutions is a work-at-home, Business Process Outsourcing (BPO) company that uniquely blends crowdsourcing innovation, cloud-based technology and operational efficiencies to power its services and solutions. Recognised as a pioneer in the call centre industry, Arise has been delivering services in the cloud for nearly a decade through its network of tens of thousands of independent, home-based customer service, sales, and technical support providers in the UK, Ireland, Canada and the USA. For more information, please visit http://www.ariseworkfromhome.co.uk/. NewVoiceMedia is a leading global provider of cloud contact centre and inside sales technology that enables businesses to create exceptional, emotive customer experiences to serve better and sell more. Its platform joins up all communications channels without expensive, disruptive hardware changes and plugs straight into Salesforce for full access to hard-won data. For more information, please visit: www.newvoicemedia.com. Plantronics offer end-to-end services that help contact centres. We’re more than just hardware. What’s special is our expertise. We help deploy, manage and support your headset investment. Our services include site inspections and audits to ensure the right device. And after deployment, we offer training, reviews and 24/7 support. Making sure you’ve got what you need. Our headsets are used in contact centres all across the world. They’ve even featured in numerous films and high profile events, including the historic “One small step for man” transmission from the moon in 1969. 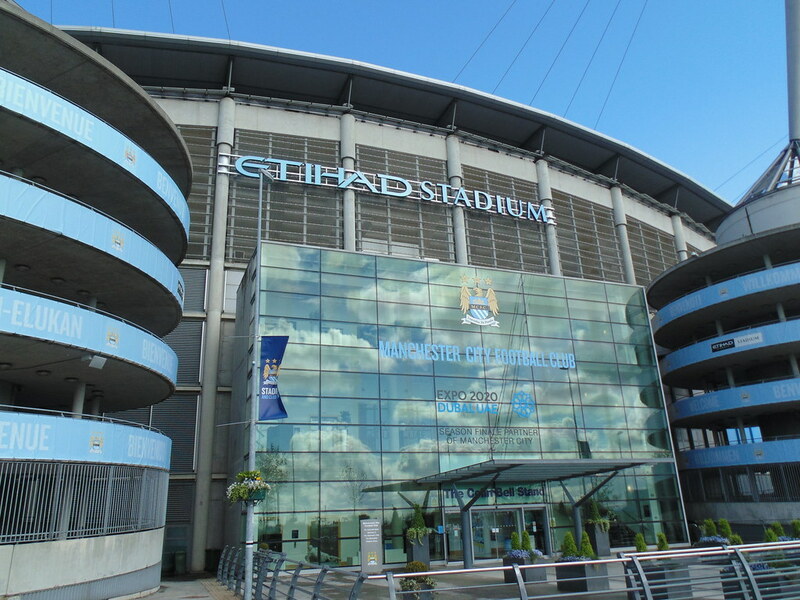 The conference will held at the Etihad Stadium – Manchester.